That somewhere was New York. After a brief stint at Fred Astaire, he began working at the Sandra Cameron Dance Center. That turned out to be the best of both worlds because it was there that he passed his first Associate exams in Standard and Latin, and had the opportunity to work with some of the icons of the early days of Swing and American social dancing like Frankie Manning and Peter DiFalco. Michael has competed as a professional nationally and internationally in Latin, Ballroom, and Smooth. He’s been a finalist in Rising Star Ballroom and Classic Showdance, and won many Open Smooth competitions. While he has worked with a broad spectrum of teachers, Charlotte Jorgensen, Edward Simon, and Rufus Dustin have been his main influences as a competitor. As a teacher he’s coached actors like Nicole Kidman and choreographers like Mercedes Ellington, and danced with his pro-am students on their way to US Championship and Best of the Best titles. He’s also consulted on shows like the Rockette’s Summer Spectacular choreographed by Mia Michaels in 2016, the Kennedy Center production of Duke Ellington’s Shakespearean Suite, and the ABC TV show Life on Mars. From 2012-2015 he served, first as Secretary of the National Committee of the USISTD, and then as President. Michael continues to perform and compete, and train dancers of all levels in New York. I have been enthusiastically teaching since 1976. I became a member of the USISTD in 1981. I competed in the pro ranks with my husband and we specialize in the International Ballroom. One can say I grew up going to Cherry Hill, New Jersey to the ISTD competitions three times year. It was there that the seed of commitment to the society blossomed. I have no regrets in my ballroom career, except having commenced too late in life. In the short 11 years of competing as a professional, we had the opportunity to travel worldwide. I used to own a Fred Astaire Dance Studio, as well owning and running a successful independent dance studio. My experience has covered every aspect of teaching, from beginners to professional competitors. I have a passion for every aspect of the ballroom dance industry. I can easily say I was blessed with a wonderful dance teacher the late Mr. James Donaghey. He artfully and carefully enriched my dance knowledge and nourished me into loving the society, like he did himself. Currently in the Ballroom competition community, I am an active adjudicator and coach. I am also a competition organizer who loves to run events and a trainer who loves to prepare aspiring candidates for their exams. Lori comes from a diverse background of artistic, academic, and administrative experience. As a competitor, she was a US Championship Finalist in Theater Arts with partner Rufus Dustin, New England Professional Champion and US Finalist in American Style with partner David Rosinski, US pro/am Theatre Arts, American Style Smooth and Grand Champion with husband John Gay. She was also invited to and danced in the prestigious Exhibition in Blackpool England. 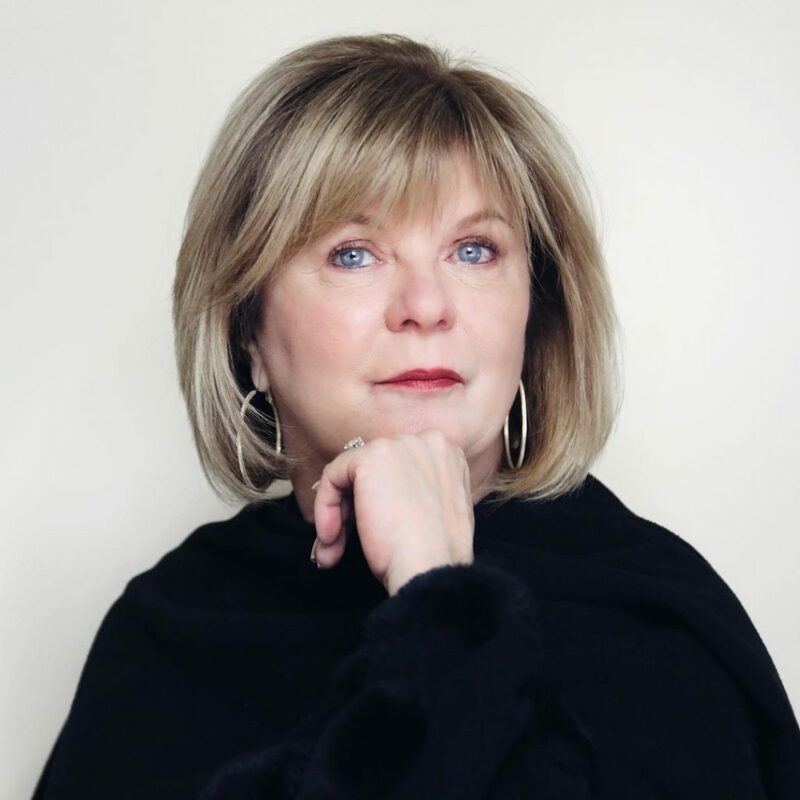 Lori parlayed her success on the dance floor into a long career, which includes “top teacher” at numerous Championship events, World Class Judge and Examiner. She spent considerable time studying in England with the legendary Elizabeth Romain and is one of very few Imperial members who hold a Fellowship degree in all five branches of dance. 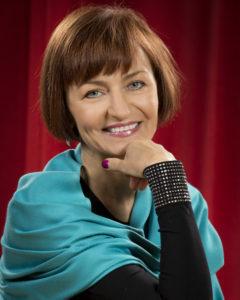 She is passionate about using dance technique to enrich the quality of dance on a practical level, and she authors articles on this topic in her “Technique Diva” column of Dance Beat. She is proud to have been trained and mentored by USISTD greats such as Fran Rogers, Julius Kaiser, Dagmar Jarvel, and Roy Mavor whose example, along with Examiners Peter Billet and Jim Donaghey, inspired her to become an ISTD Examiner. As an administrator, Lori owned a Fred Astaire studio and was an Examiner and Member of the Fred Astaire National Dance Board. She collaborated with the late John Monte in organizing the U.S. Championships and co-organized one of the earlier NDCA Competitions, the Boston Bicentennial, in 1975. She spent 8 years on the Executive Committee of the National Dance Council of America and recently served as President of the USISTD. She is currently on the Invigilation Committee and the Credential and Education Committee for the NDCA. Izabela is a certified Ballroom Examiner for the Imperial Society of Teachers of Dancing, with a Fellowship in International Ballroom and Licentiate in Latin styles. She fell in love with dancing at age 7, and is a longtime ballroom teacher, competitor and adjudicator. A native of Poland, she represented that country with her former partner Robert Kubis in competitions in Europe, Asia and the United States. They were finalists in Standard and 10-dance Polish Championships, and won almost every U.S. Professional Rising Star title. The biggest influences on her dance career have been Peter Eggleton, Bill and Bobbie Irvine, Marcus and Karen Hilton, Andrew Sinkinson, Luca and Loraine Baricchi, and Pierre Allaire. In 1997, she was invited by Arthur Murray Dance Studios to work in one of their schools in Ann Arbor, Michigan. She became a U.S. citizen, and made Michigan her home. Izabela has been a studio co-owner, has designed women’s dance fashions, and now teaches at the Dance Pavilion in Ypsilanti, Michigan. She has been rewarded with a large number of students in the region and is devoted to helping each student achieve his or her goals. Her teaching style focuses on technique and its nuances. She also recognizes how important it is for students to understand body mechanics. She brings her knowledge gained from studies in yoga and anatomy to develop students’ awareness of balance, strength, and flexibility. She is working on her Fellowship in Latin style and continues her study of teaching methods. Her goal is to help her students become more musical, expressive, dynamic and artistic in their dancing. Trevor Luff is a native of England where he was the British Rock & Roll Dance Champion before relocating to the United States. He later became a representative of the U.S. in World Championship Team Matches. His competitive career included placing in the finals for most major competitions in the International Standard and American Smooth divisions. For the past 25 years, Trevor has taught both Amateur and Professional competitors in Standard, Latin, Smooth and rhythm divisions in the United States as well as in most of Asia including throughout Japan, Hong Kong, Korea, Taiwan, Thailand and just lately, Vietnam. Trevor has achieved the highest certification level of a Dual Fellowship in International Standard and Latin and a Triple Licentiate in American Smooth, American Rhythm, and Theatre Arts from the Imperial Society of Teachers of Dancing (ISTD). With this background, he has judged many Collegiate, National Qualifying Events, and Championship competitions throughout the U.S. and is one of just a few individuals in the United States qualified to be a certified invigilator for USA Dance. Also, Trevor is a WDSF “A” Licensed Adjudicator. Sherry Novak has lived and taught dance in Los Angeles, Ca, for over 30 years. She trained in the International Style of Ballroom dance in England. She is a former Fred Astaire Champion and U.S. Ballroom Grand Finalist. Ms. Novak is a Fellow and Examiner for the U.S.I.S.T.D. in both Modern and Latin, International and American-style. 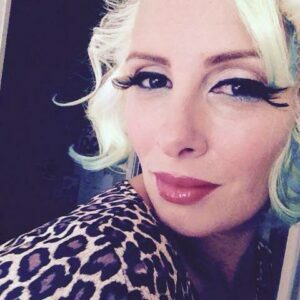 Sherry teaches in Little Tokyo, Arcadia, ESGVJCC in West Covina and at StarDance Studio. She is available for coaching, classes, judging and for technique training for U.S.I.S.T.D. exams and is a dance DJ. In her free time, Sherry enjoys other art forms such as writing, drawing and nature photography. 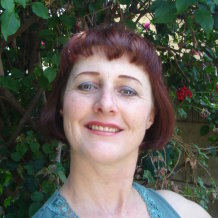 Sharon is the first USISTD Examiner in Australia, and infact, outside of the USA. She started ballet at the age of 3 and trained in ballet, jazz, tap & contemporary until her first teaching employment at Fred Astaire in Canberra, the Nation’s Capital in 1999. As she progressed in her Smooth and Rhythm training it became apparent that there was a limit to the opportunities available to teachers/dancers in Australia which is why all the serious dancers moved to the USA. She was able to complete her Fred Astaire International Associates degree in 10 dances with Honours, which is when she learned of the technical training process, but the franchise died out in Australia, so in 2005 her husband Marko sent out requests for certification to different organisations and received only 1 reply, from the incredible Ms Lori Woods Gay. 2000 – Marko and Sharon placed 4th in the Showcase Division with Argentine Tango in the Fred Astaire competition in the Bahamas. 2003 – their son, Finn was born. 2005 – Marko and Sharon placed 3rd on the ABC TV Show “Strictly Dancing”. 2006 – Sharon completed her Associates Degrees in both Smooth and Rhythm over 2 days – Highly Commended. 2007 – their daughter, Isabella was born. 2009 – Sharon contracted Chronic Fatigue Syndrome and Fybromyalgia from a virus, and still has them. 2009 – Sharon completed her Licentiate Degrees in both Smooth & Rhythm over 2 days – Highly Commended. 2009 – 2010 and 2011 they won their Pro Salsa Title 3 more times, and are 4 time undefeated champions. 2010 – Sharon became a Zumba Fitness instructor. In 2011 Sharon and Marko started “ASDAC – The Outback Crown”. Australia’s most glamourous, independent Smooth and Rhythm competition for all Pro/Am and Pro’s in Australia to compete. 2013 – Sharon completed her Fellowships in both Smooth & Rhythm over 2 days – Highly Commended. 2013 – Sharon completed her Standard Associates and Theatre Arts Associates over 2 days – Highly Commended. 2016 – Sharon completed her Examiners Assessment over 2 days and achieved her goal after 10 years of study, experience and innovation. 2016 – Sharon became a Strong by Zumba instructor. 2017 – Sharon created “Articulate” Dance Training Program. Today Marko and Sharon own and operate DANZON Dance Studio in Canberra, Australia, as well as ASDAC which, in 2017, is in its’ 7th year, and open to competitors around the world, and Sharon also has a Diploma of Graphic Design. They are spreading the knowledge that Australia now has the opportunities it never had before, and that the USISTD in Australia brings the highest quality of training, assessment, medals and qualifications to our dancers that the world can offer. They know this will take time. Marko and Sharon never had the opportunity within Australian borders to compete or get qualified so their dancing goal is to bring those opportunities to others. Cher Rutherford is one of the most sought-after dance coaches in the United States today. She is seen judging many of the major events in the US and is an important figure on the American dance scene and abroad. She has judged the Exhibition at the British Open Championships in Blackpool numerous times and lectured on American Style Smooth for the ISTD Congress in Worthing and London, England. She has an impressive mix of academic qualifications along with being a Dance Champion, a highly experienced teacher, coach and choreographer. She has been a professional ballroom trainer for over 30 years. Cher’s academic qualifications and teaching credentials include a broad range of certification across many genres to include: Dual Fellowship degrees in Ballroom and Latin from the ISTD London, England. She also holds Fellowship degrees in the American Style Smooth, Rhythm and Theatre Arts with the United States ISTD. In addition, she has also held these degrees with other dance teacher organizations for many years and is a choreographer and trainer in all styles. These credentials represent the highest level of academic qualifications. Cher is a National/Championship Adjudicator with the National Dance Council of America and a World Class Adjudicator duly registered with the World Dance Council. Cher is a United States Champion in the American Style Smooth/Rhythm and Theatre Arts divisions. She performed on the first several PBS programs of Championship Dancing held in New York City hosted by Juliet Prowse in Madison Square Garden. She also danced in a PBS special tribute performance for Agnes DeMille that was hosted by Rita Moreno at the NY Sheraton Center. Cher was a featured nightly performer in The Magic of Ballroom show that traveled the US for several months with the Mantovani Orchestra tour. As a teacher at the Pro/Am level Cher was highly successful and always presented her pupils with the highest standard of dance for their level and was many times Top Teacher at local, regional and National events. Cher amplifies her influence as a teacher through her performance on many syllabus training videos. The combination of these achievements makes Cher an outstanding teacher and coach. In the studio environment she is able to adapt to any teaching situational put the pupils at ease, regardless of their level, while also motivating them to achieve their best. She has a pleasant teaching style that is both intense and fun. Dance coaching sessions can be devoted to various endeavors such as; competition or showcase choreography, performance/partnership skills, technique and exam preparation. Coaching sessions are always designed to meet your personal needs. Phillip has a multi-faceted background in dance that covers teaching, performing, lectures, competition, studio management and ownership and academic attainment as well as financial experience along with CEO and other executive positions. Starting out as a teacher in 1972, Phillip soon became fascinated with the technical details and the practical application of dance. He worked through the syllabus material and took examinations, gaining academic qualifications with several dance organizations such as Fred Astaire, NADTA, IDTA, USISTD and ISTD. 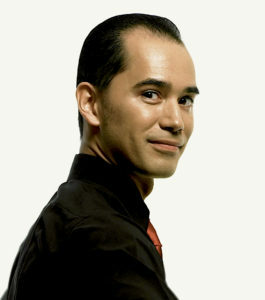 Over the years, Phillip was successful in competitions at various levels, winning Top Teacher and Top Studio awards, placing in the finals of many major professional competitions such as Ohio Star Ball and, with partner Lisa Sandifer, becoming the 1989 Eastern United States Rising Star Smooth Champions. He has also performed in such stage productions as “200 Years of Dancing in America” and as the principal in “The King and I”. As a Dance Director in various studios, through preparing candidates for examinations and as a coach to amateur and professional competitors, Phillip has been involved in the training of other teachers in various capacities over the years. He holds Fellowship Degrees in American Ballroom, American Rhythm, International Ballroom and International Latin along with a Licentiate Degree in Theater Arts. He is certified as a Championship Level Adjudicator, and has been licensed as an Adjudicator by the National Dance Council of America (NDCA), the World Dance Council (WDC) and for USA Dance. Having travelled to the UK for training with the highly esteemed Elizabeth Romain, Phillip was both surprised and pleased that Ms Romain wrote a letter to the USISTD National Committee recommending that he undergo the Examiner’s Assessment in the UK. Permission was granted and, in October of 2000, Phillip successfully underwent the Assessment and was subsequently appointed as an ISTD / USISTD Examiner. 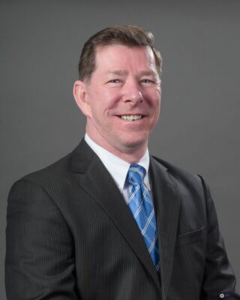 Phillip has served as an invigilator and judged at various competitions including the Ohio Star Ball and the US Championships. In 2007, Phillip gave a lecture on the American Box-style Rumba at the prestigious ISTD Worthing Congress in the UK. Through the years, he has organized showcases and competitions, choreographed routines for professional and amateur competitors and has examined many professional dancers. He has also written articles for many dance publications, and was a featured contributor for Allen Darnel’s book: Ballroom World Dance Book. Phillip owned and operated The Dance Place – a large and very successful independent dance studio – in Houston, TX, for 29 years. Always looking for ways in which to contribute more to the world of dance, Phillip first became involved with the USISTD National Committee by volunteering as its Publication Director in 1997. 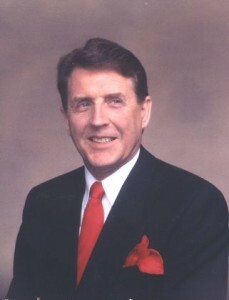 In 1998, at the urging of Judi Hatton, Phillip ran for election to the National Committee. While on the committee, Phillip served as the Society’s Treasurer and was later elected as its President. After leaving the National Committee, Phillip also served a term on the USISTD Board of Trustees. While no longer a Committee or BOT member, Phillip continues to be active as a trainer and Examiner, and can be reached via philtex44@aol.com or 713-248-2299. Dual Fellow & Examiner, I.S.T.D.